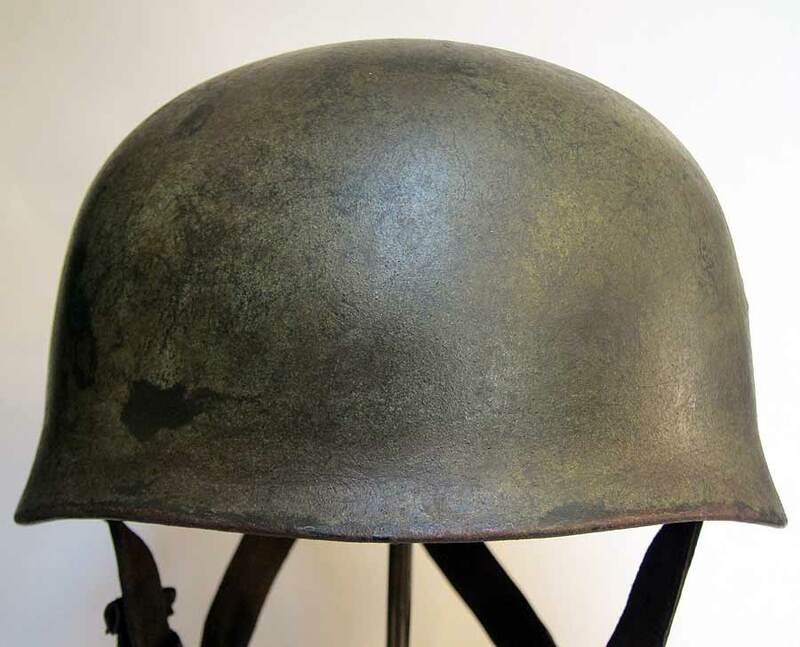 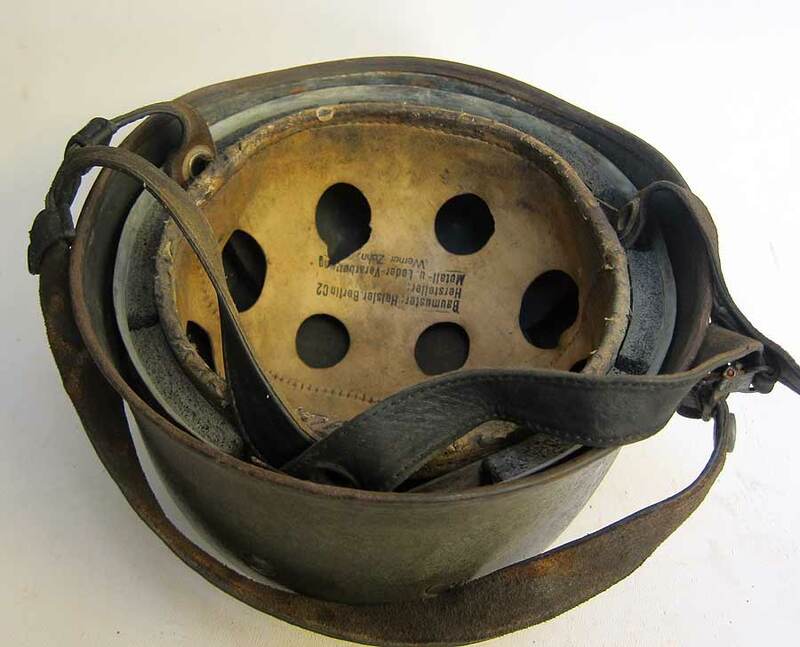 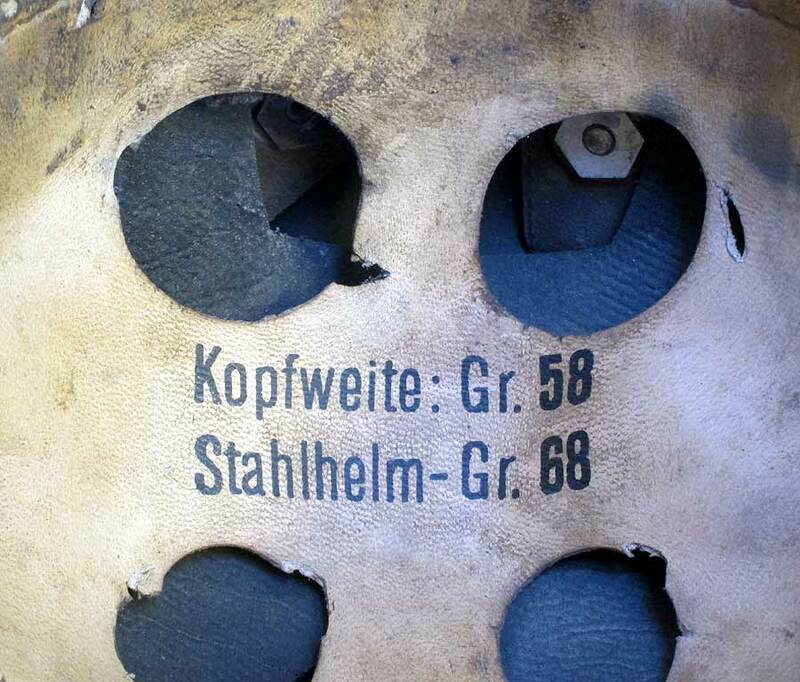 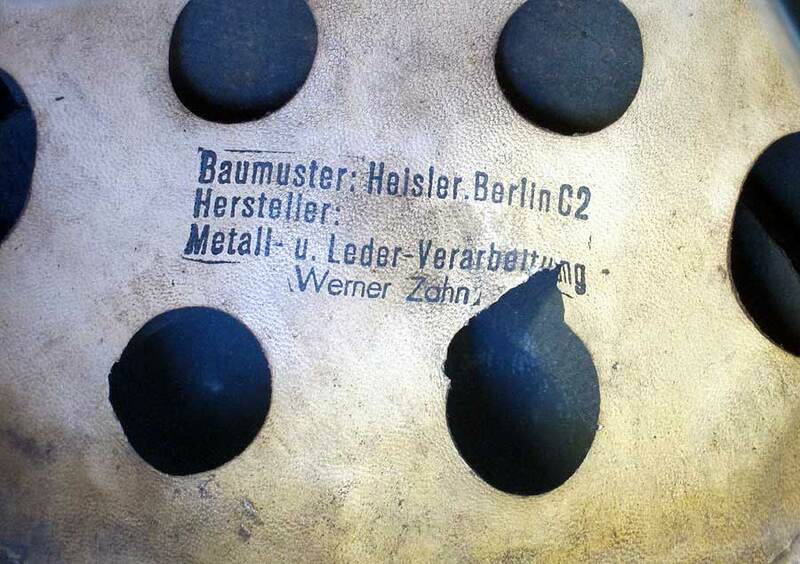 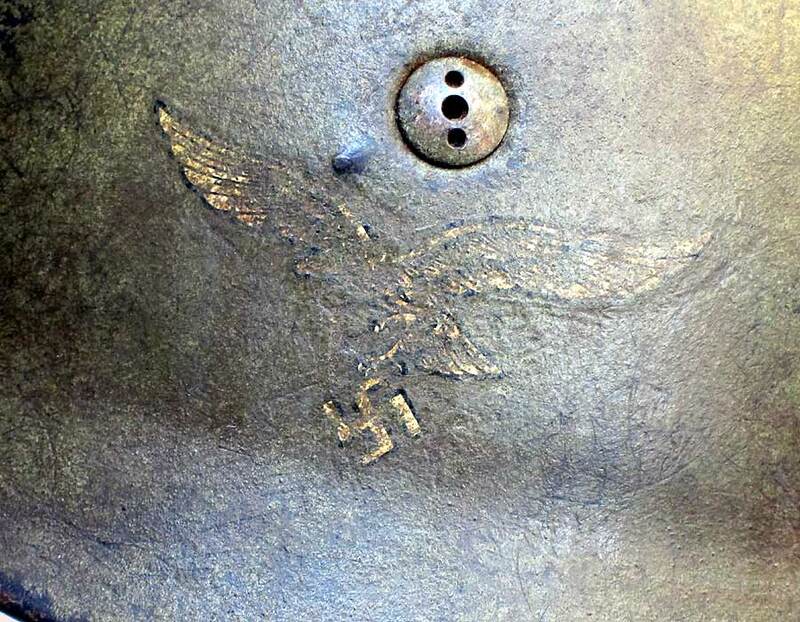 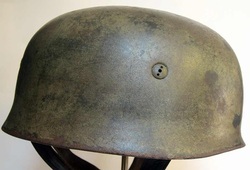 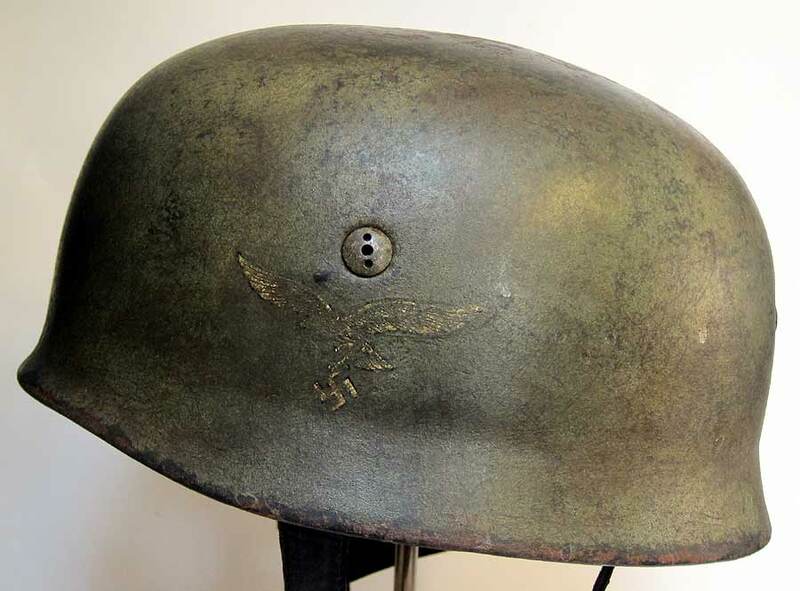 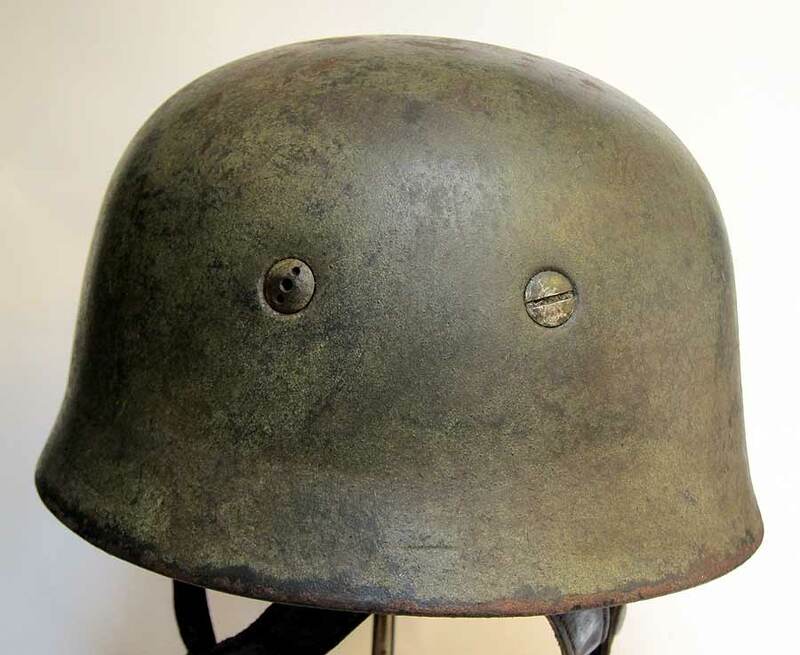 This high quality reproduction M38 Helmet was sent to us by one of our customers who wanted something a bit special. 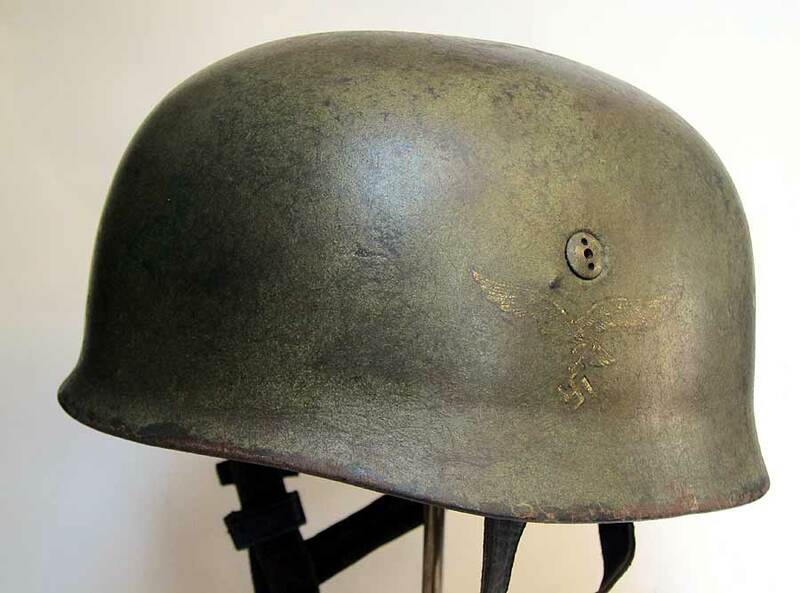 So after some discussion we agreed to make a replica 6th Parachute Regiment camouflage paint scheme as well as ageing up all the components to look 70+ years old but in relative good condition. 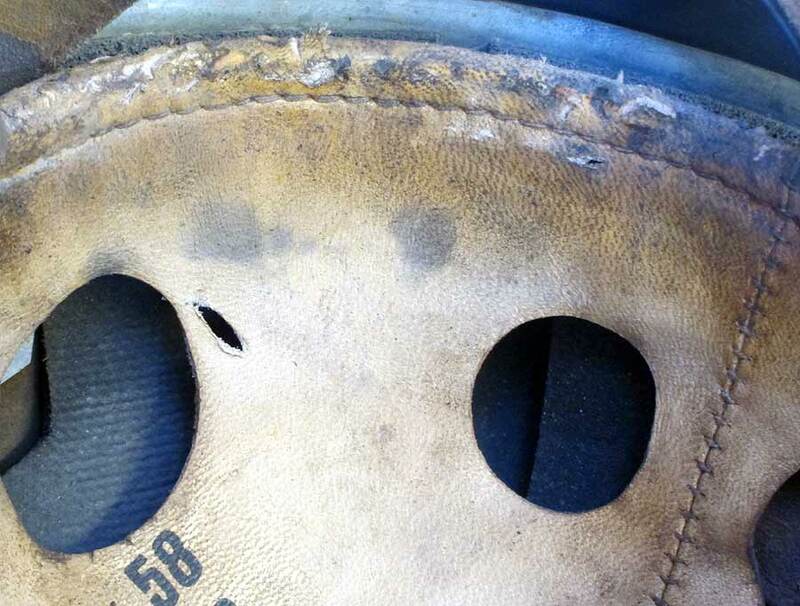 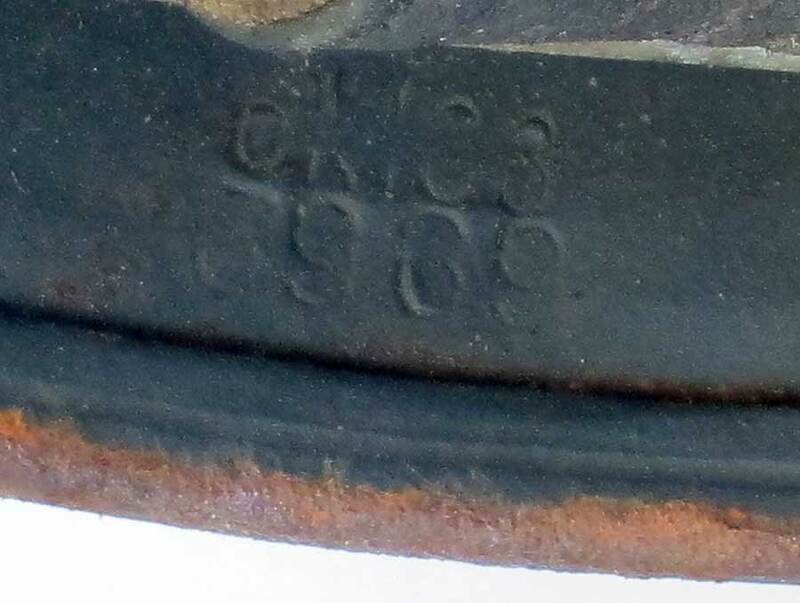 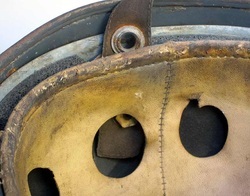 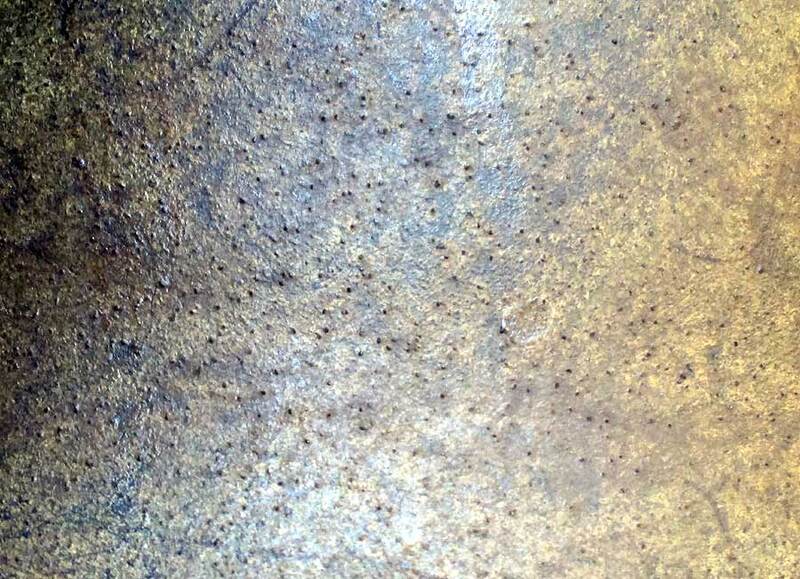 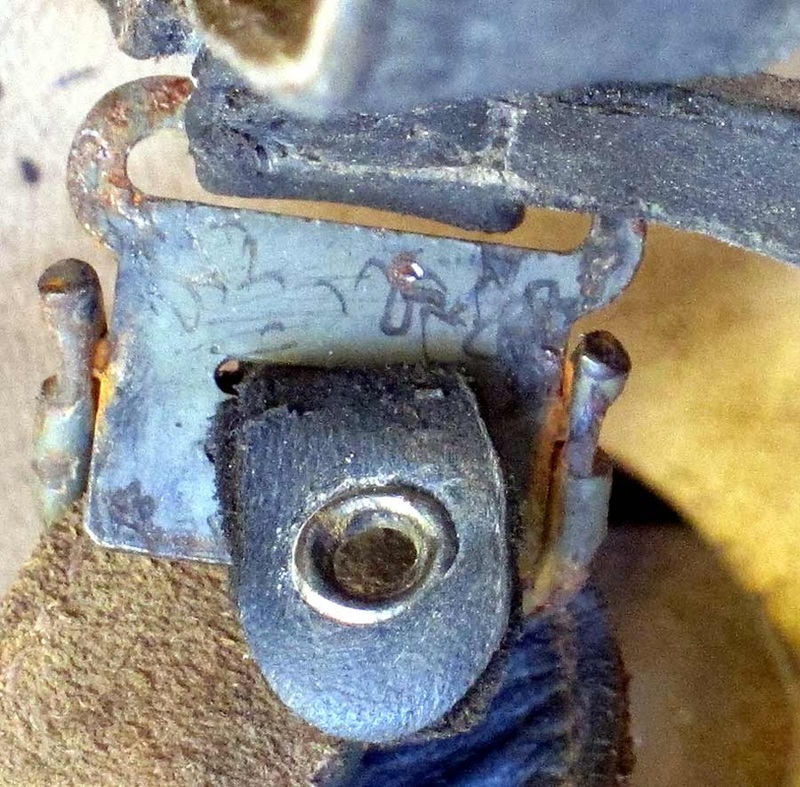 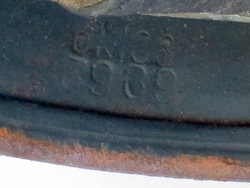 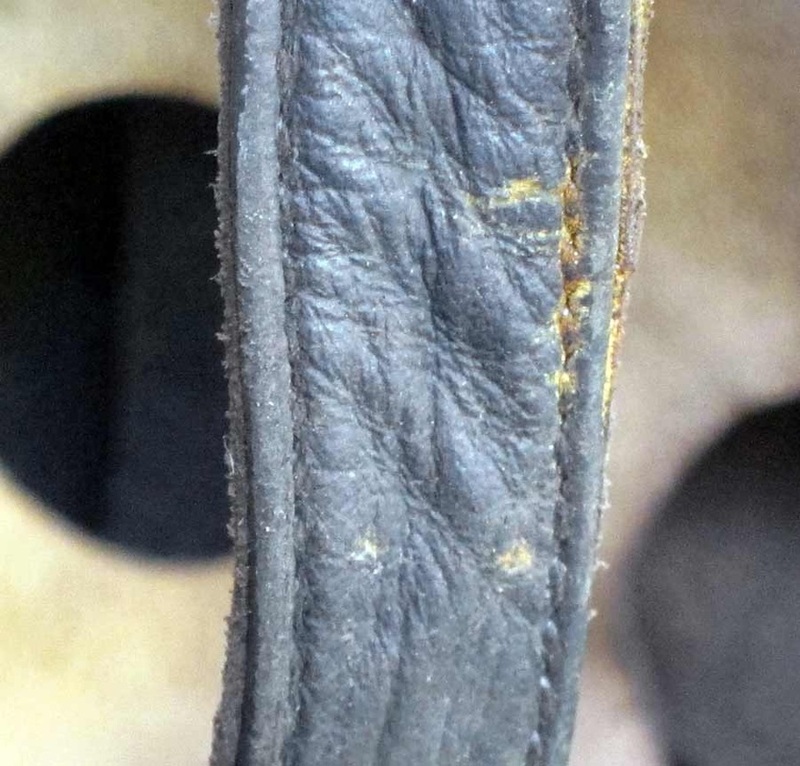 The photographs below are the finished item, notice the sawdust within the paint, a common occurance with FJR6 helmets.